Working at height doesn’t come without its risks. Even so, it is an everyday occurrence in many workplaces – such as construction sites, oil rigs, building cleaning and maintenance, and natural elevations. This is why we take work at height safety seriously. At All About Lifting & Safety, we are the leaders in work at height safety. We offer height safety equipment and lifting equipment at the best prices. A broad spectrum of height safety equipment is available from us in the form of harnesses, self-retracting lifelines, shock absorbing lanyards, rescue and retrieval equipment, along with protection systems – all conforming to the current Height and Safety Legislation. Work at height safety can be ensured with the proper height safety equipment. It can be used to prevent falls and stay within regulated safety specifications, thus reducing the chances of injury. At All About Lifting & Safety, we ensure that we take into consideration the health and safety risks that employers are prone to when they are working at height. In a constantly evolving market where there is plenty of height safety equipment, we ensure that our products are appropriate and suitable for specific projects. We have developed a wide range of fall protection specific equipment that can help you against a range of fall risks. one of the forms is wholly sealed that helps keep the components sealed and is ideal for working in harsh conditions. a version is employed in a controlled environment where working conditions are relatively less severe. So by that we mean, something less than 500 feet. At All About Lifting & Safety, we not only ensure you get the right equipment at the right time, but also ensure that you save on the maintenance. 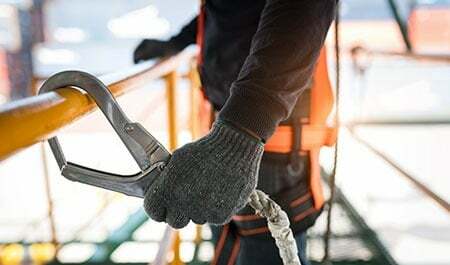 By following the guidelines provided to you for your height safety equipment from All About Lifting & Safety, you can help keep your safety equipment in top working condition. Contact us today for all your work at height safety needs.